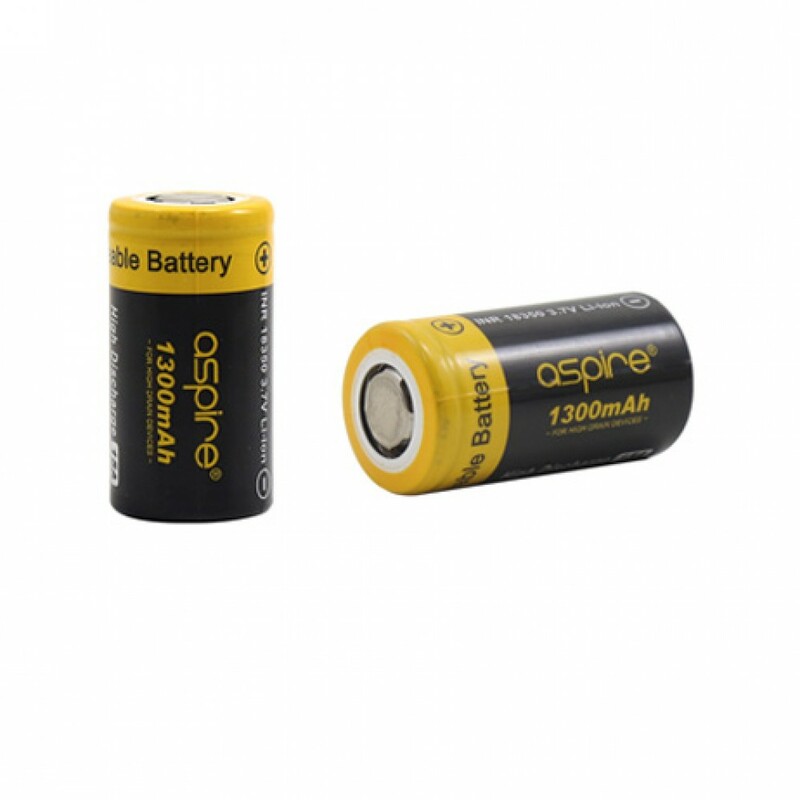 This Aspire 18350 3.7V 1300mAh rechargeable battery cells is made for normal discharge current (max. 15A) applications. High capacity (1300mAh) provides vapers with a much longer run time than any standard INR battery. The Aspire 18350 is an excellent choice for people who are looking for normal drain INR 18350 battery cells.